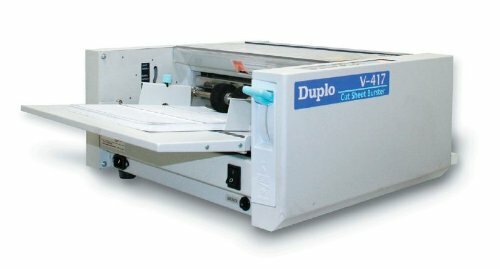 The Duplo V-417 Cut Sheet Burster automatically separates pre-perforated forms and stacks them in sequential order. With speeds of up to 140 sheets per minute, it’s perfect for bursting multiple forms printed on the same sheet. Eliminate cut sheet bursting by hand and add efficiency to your operation!